Skoda Fabia Scout hatchback is an affordable compact SUV which is the sportier Version of Skoda Fabia. The Fabia Scout comes with 1.2 Liter 3 cylinder engines in both petrol and diesel Versions. Both comes in five speed manual transmission gearbox. Skoda Fabia Scout has a front wheel drive option. The fuel tank capacity of the hatchback is 45 liters. Skoda Fabia Scout petrol engine delivers a peak power @75Bhp. Skoda Fabia Scout has a turbocharged common rail direct injection diesel engine delivers a peak power of 75Bhp @ 4200 rpm with 180 Nm torque @ 2000 rpm. It has a displacement of 1199 cc. It gives a mileage of 15.5 kmpl in cities and has a mileage of 19.5 kmpl on highways. Safety features of the hatchback includes ABS with dual airbags, MSR and EBC, front and rear fog lights, washer and wiper for the rear windscreen, anit glare interior rear view mirror and rear bumper with a diffuser. The dual brake assist system ensures that the car is stopped immediately in case of a crash and fuel supply is cut off. The alloy wheels are of 15” with the chrome lining surrounding the radiator grille and interior trim. 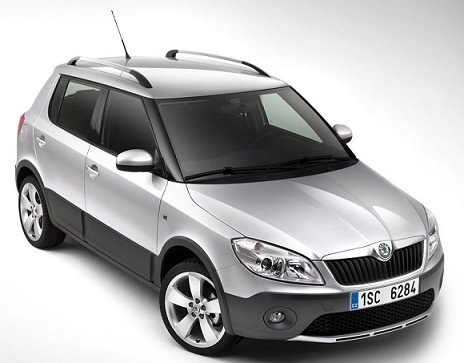 Skoda Fabia Scout is the largest trim with proportions of 4032mmX 1658mmX1557mm. Skoda Fabia Scout is a durable car with its protective layer on the sides, projector-beam headlamps, stainless steel pedal set, front bumper has a lower wing, new Scout glasses, integrated 2Din Skoda Beat Audio player, power windows and steering, automatic locking and tinted glass, spacious interior, large trunk, rear air conditioning vents under front seats, front and rear electrically adjustable windows with one touch concept. 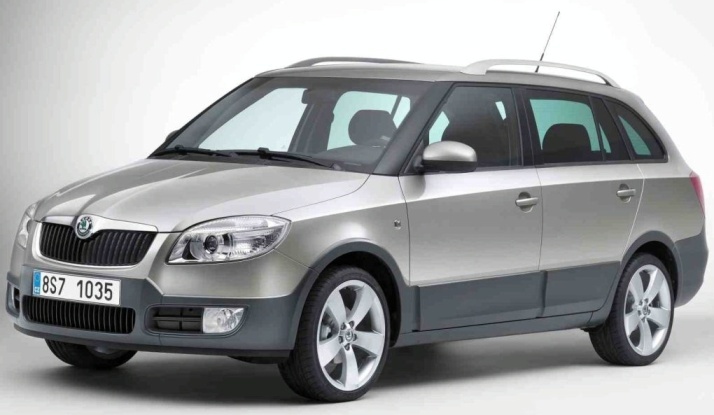 Skoda Fabia Scout 2012 has been launched in India at a starting price (ex-showroom, Delhi), Skoda Fabia Scout Petrol Starts from Rs 6.79 lakhs and Skoda Fabia Scout Diesel Starts from Rs 8.10 lakhs. Tags:- Skoda Fabia Scout 2012, Skoda Fabia Scout details, Skoda Fabia Scout features, Skoda Fabia Scout specs, Skoda Fabia Scout launch, Skoda Fabia Scout mileage, Skoda Fabia Scout india price, Skoda Fabia Scout india details, Skoda Fabia Scout india varients price, Skoda Fabia Scout variants,Skoda Fabia Scout pics, Skoda Fabia Scout pictures, Skoda Fabia Scout images, Skoda Fabia Scout trim levels.